Internet users in Nigeria increased marginally to more than 114,752,357 million in February 2019, the Nigerian Communications Commission (NCC) has said. The NCC made this known on Monday in its Monthly Internet Subscribers Data for February posted on its website. 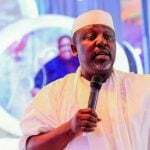 The data showed that overall internet users increased to 114,725,357 in February from 113,875,204 recorded in January showing an increase of 850,153 new subscribers. According to the data, Airtel and MTN gained more internet subscribers during the month under review, while 9mobile and Globacom were the big losers. The breakdown revealed that MTN gained more with 607,462 new internet users in February, increasing its subscription to 46,538,633 as against 45,931,171 in January. It further showed that Airtel was second, gaining 430,990 new users in the month under review, increasing its subscription to 30,891,518 in February as against 30,460,528 in January. It said that Globacom lost 114,268 internet users, decreasing its subscription in February to 27,486,271 from 27,600,539 recorded in January. 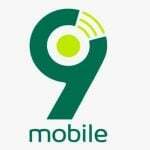 The NCC data further showed that 9Mobile also lost 74,031 internet users in February with 9,808,935 as against 9,882,966 recorded in January. 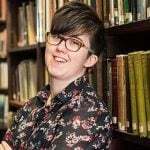 A journalist killed by a dissident republican paramilitary in Northern Ireland is to be laid to rest on Wednesday at a ceremony celebrating her life to be attended by British Prime Minister Theresa May. 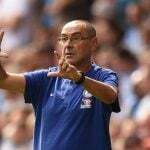 Chelsea manager Maurizio Sarri has been charged with misconduct following his sending-off against Burnley, the FA have announced on their official website. 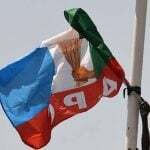 Lawmakers-elect from Plateau have resolved to support Sen Ahmed Lawan and Rep Femi Gbajabiamila as Senate President and Speaker, House of Representatives, as directed by the All Progressive Congress (APC). 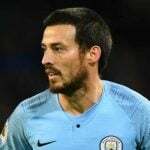 Manchester City midfielder David Silva has claimed that local rivals Manchester United have 'huge respect' for them now as their roles have been reversed. French official Stephanie Frappart will become the first woman to referee a Ligue 1 match when Amiens host Strasbourg on Sunday. The Federal High Court in Lagos on Wednesday dismissed a suit by Spectrum Wireless Communications Limited against Emerging Markets Telecommunications Services (EMTS), owners of 9mobile. 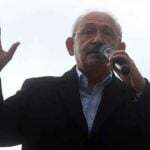 Police in Turkey have arrested six people, including a member of the ruling party, after an attack on main opposition leader Kemal Kilicdaroglu, as his party organised rallies against the incident. 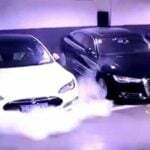 US electric auto maker Tesla said Monday it had launched an investigation after a video circulating in China showed one of its cars suddenly burst into flames in a garage in Shanghai. 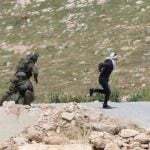 A hospitalised Palestinian teen has said he was shot twice in his thighs by Israeli soldiers while he was handcuffed and blindfolded - the latest in what a leading rights group portrayed as a series of unjustified shootings of Palestinians by Israeli soldiers.